Hello :) I appreciate you taking the time to check out my profile! I never seem to have enough time to listen and comment as much as I want. If you want me to listen, just send me a direct message and ill listen as soon as I can. 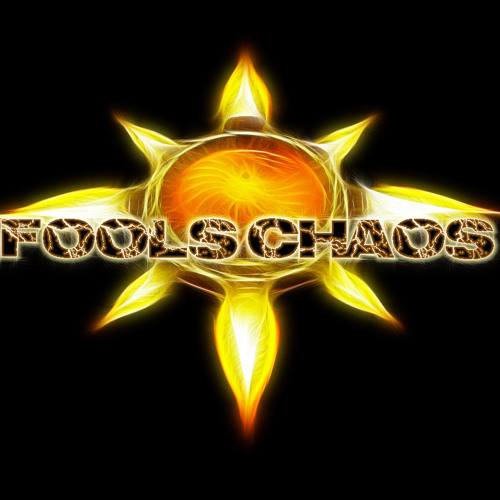 All I ask is that you also listen and a comment is always appreciated :) Fool's Chaos specializes in dance electronica, funk, electronic rock, progressive rock, industrial - metal, soundtrack, and pop. The music is Daftpunk, Heatbeat, God is an astronaut, Primus, Garbage, The Cure, and Rammstein thrown in a blender. Tracks are a mixture of styles and don't stay in a specific genre. I tend to not stick to any particular style, if the first track you listen to isn't to your taste, try another track, you may like it..... :) I'm a bassist primarily, that loves almost all genre's of music. I try to incorporate my bass playing into most of the music i make. My music ranges from video game and film style compositions to Metal, Jazz, electronica, classical, singer-songwriter, and rock. You can find my video game style music here at http://soundcloud.com/gamecompositions If you listen and comment on one of my tracks, and I don't return the favor, or even if I do, feel free to message me when you upload something new and want me to take a listen. I have been busy lately so I have been a bit behind listening to music as usual. If you have listened and commented, I really appreciate it!!! If you follow me, I appreciate it, but more so if you actually listen to a track and comment :) SC is an addiction as I really enjoy discovering and listening to all the wonderful music and genre's on this site.